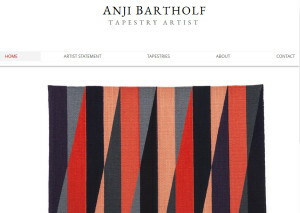 Anji Bartholf is an artist who weaves contemporary abstract tapestries on a six foot countermarche Cranbrook floor loom in her Sonoma studio. This slow, accumulative process imbues each piece with a sense of rhythms and cycles, of time and season, of growth and change. 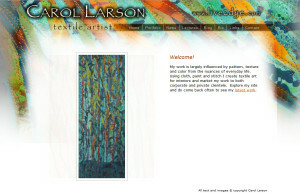 Carol Larson is a textile artist who incorporates a variety of cloth, vintage linens, dye, paint, wax, technological processes and stitch into her textile artworks. 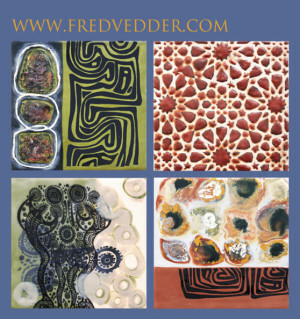 Fred Vedder specializes in encaustic and natural fiber art, photography and multi-media drawing. 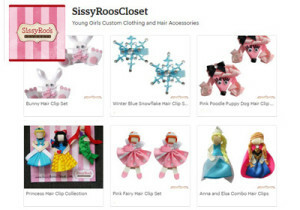 He was born and raised in Los Angeles, before settling in Sonoma County, California. 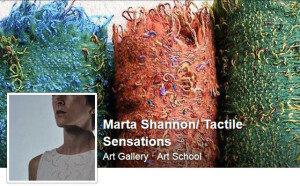 He works as a visual arts instructor at Roseland University Prep (RUP), and has an art studio in the arts district of Santa Rosa. 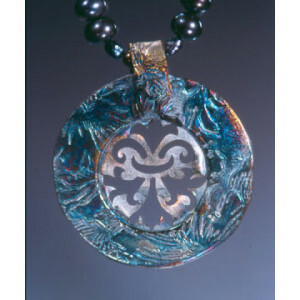 Hetty Herman-Minsk is a California artist of handcrafted, custom-designed fine silver jewelry pendants and earrings that are embellished with garnets, sapphires and pearls. 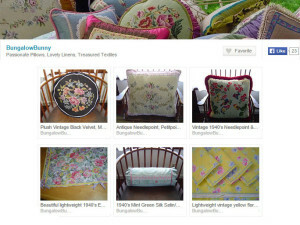 She is also a weaver and ceramicist. 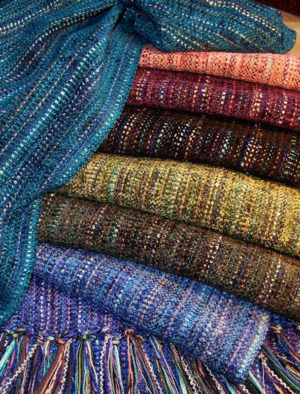 The artist Karen Spratt is known for her paintings of fanciful compositions and weaving wool rugs. 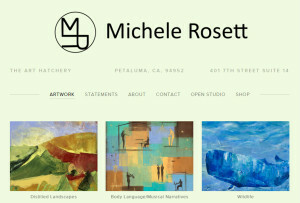 Michele Rosett is a Sonoma County artist of abstracts, landscapes, wildlife and musical narratives. 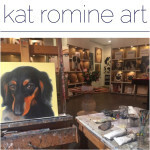 She grew up in Atlantic City, New Jersey, and worked as a clothing designer and business owner for 20 years, before dedicating her time to fine art. 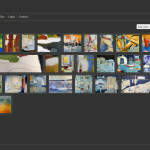 Robyn Spencer-Crompton is a mosaic artist, inspired. 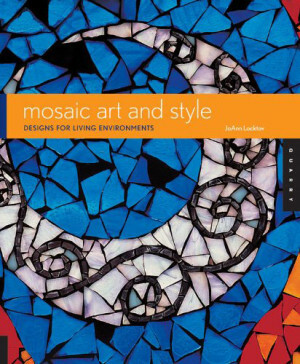 Her work is featured in the book, Mosaic Art and Style by Joanne Locktov. 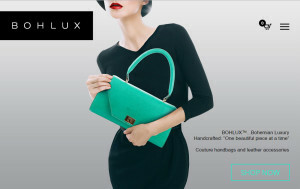 She also teaches fashion design and costume design at the Santa Rosa Junior College and Diablo Community college. 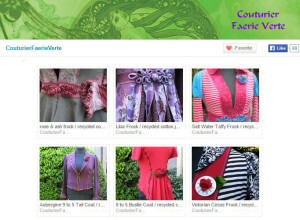 Theodora Elston is a textile artist who creates fiber arts and jewelry. 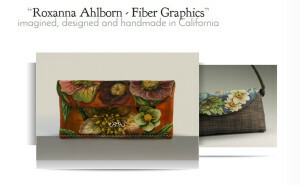 She is known best for floral depictions in fiber. 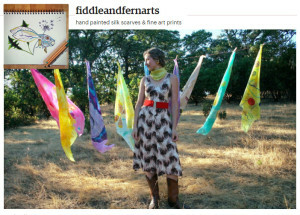 Theodora has been featured in Ornament magazine and the Fiberarts magazine, and her work is in the Smithsonian Museum. Trude Guermonprez (1910-1976) born Gertrud Jalowetz, was a textile artist born in Danzig, Poland,¬ emigrated to California and became one of the textile artists of the Pond Farm Artist Colony of Sonoma County. 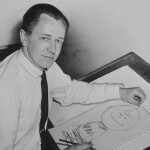 She also served as chair of the craft department at the California College of Arts and Crafts, and worked at Oakland College.